With more than 300 pages and 800 images, this resource book is rich in detailed information and real-world examples to help anatomic pathologists identify infectious organisms in tissue, study patterns of inflammation for clues, understand which stains are best for detecting specific microorganisms, spot infectious disease mimics, and select ancillary methods of detection such as molecular diagnosis. Approximately 30,000 solid organ transplants are performed in the US each year, and biopsies from these patients are seen in community practice as well as in academic medical centers. Atlas of Transplant Pathology serves as a handy resource for practical interpretation of solid organ transplant biopsies and other specimens by general pathologists as well as subspecialists. 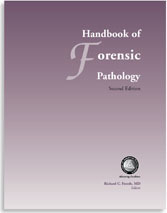 Basic Competencies in Forensic Pathology outlines the concepts and techniques used in forensic pathology. Prepared by the Forensic Pathology Committee of the College of American Pathologists in conjunction with the National Association of Medical Examiners, the primer is intended to be a quick reference for pathologists in training and those who do occasional forensic autopsies. Body Fluids Benchtop Reference Guide is an illustrated guide to common and rare cells. The content includes detailed descriptions of each cell, including facts, cell morphology, and inclusions, with 36 color images demonstrating common and rare cells (erythroid, lymphoid, myeloid, and mononuclear phagocytic series; lining cells; miscellaneous cells), crystals, microorganisms, and miscellaneous findings. This illustrated guide to common and rare cells provides an affordable, convenient way for students and medical technologists to identify various cell types—granulocytes, erythrocytes, monocytes, lymphocytes, megakaryocytes—and miscellaneous findings quickly and confidently. The tabbed reference includes more than 60 different identifications and detailed descriptions foreach cell morphology. Cause of Death and the Death Certificate is intended for any person who must prepare, review, or interpret cause-of-death statements appearing on death certificates or other medical documents, such as autopsy reports. 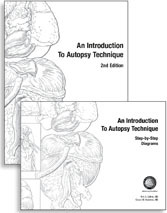 It is a comprehensive manual prepared by the Forensic Pathology, Autopsy, and Neuropathology Committees of the College of American Pathologists, in conjunction with the National Association of Medical Examiners. This book provides information not only useful to physicians, medical examiners, and coroners, but to the public as well. Available as an ebook only. 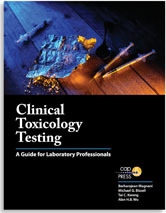 Clinical Toxicology Testing is a practical guide to setting up, overseeing, and directing hospital toxicology laboratory operations. The book focuses on the complex issues facing the laboratory director or pathologist in this role, as well as those in training in the field of laboratory medicine. It addresses not only pharmacological principles, testing menus, and methodologies, but also clinical test interpretation for specialized areas such as the emergency department, the pain clinic, and the autopsy suite. In addition, it serves as an introduction to such topics as workplace drug testing and relevant regulatory issues. It provides the reader with a comprehensive view of what is needed - and expected - when offering a clinical toxicology service. This image-rich guide extensively covers the principles of gynecologic cytopathology and takes a thorough look at practical matters such as evaluations of patients and their specimens as well as criteria to determine specimen adequacy. Comprehensive reviews of the morphology of the vast majority of entities both benign and malignant that are routinely identified in Pap tests are presented. 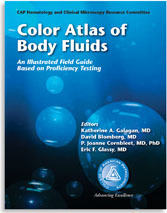 This lavishly illustrated color atlas from the CAP Hematological Clinical Microscopy Resource Committee is a comprehensive reference based on more than 20 years of proficiency testing in body fluids. Along with an overview of cytology and technical considerations, contents include the anatomy and formation, as well as the collection and preparation of cerebro spinal fluid, pleural, peritoneal, and pericardia fluids, and synovial fluid. The second edition of this popular reference book includes the latest information on an expanded list of topics, including molecular and cytogenetics, flow cytometry, pediatric hematology, and leukemia. Key facts and useful insight are delivered in a highly visual manner with links to explanatory videos and more than 100 interactive online images. Built upon a foundation of more than 15 years of proficiency testing data, this resource book is designed to assist pathologists and medical technologists in the laboratory identification of fungi using the most recent taxonomic classifications. Comprehensive and complete, this book merges in vitro mycology (colonies on plated media/LPAB preparations) with in vivo mycology (histology/cytology). Yeast, hyaline molds, dimorphic fungi, dermatophytes, mucormycetes, and dematiaceous molds are included. Color Atlas of the Urinary Sediment presents a new approach to urine sediment evaluation. The text includes photomicrographs of the urinary sediment, a discussion of the pertinent morphologic features of each element, and the results of the identification of the particular element by both referees and participants in the CAP proficiency testing program. Additional images not used in CAP Surveys are also included for completeness. Readers will find this atlas a useful adjunct to urine sediment analysis and a valuable reference for the laboratory. Developing and Organizing an Institutional Biospecimen Repository provides useful information on establishing and maintaining a biospecimen repository. It discusses issues critical to specimen collection, processing, storage, and distribution. 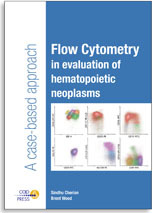 Flow Cytometry in Evaluation of Hematopoietic Neoplasms is a practical, case-based guide to flow cytometric analysis in the workup of hematopoietic neoplasms presenting in the peripheral blood, marrow, lymphoid tissue, and extranodal sites. The text demonstrates a unique approach to diagnosis of hematopoietic malignancies as well as identification of small abnormal populations in the posttherapy setting (minimal residual disease testing). Handbook of Forensic Pathology is the quintessential guide for forensic pathologists, medical examiners, and others who participate in medicolegal death investigation and forensic autopsies. Covering a broad range of topics, the text emphasizes forensic investigation and autopsy procedures, chain of custody, determination of time and manner of death, special procedures for examining and identifying the body, and specific circumstances surrounding natural and unnatural deaths. Also included are examples of standard forms and body diagrams. Hematology Benchtop Reference Guide is an illustrated guide to common and rare cells. The contents include detailed descriptions for each cell morphology, with more than 50 different cell identifications, including both common and rare erythrocytic cells and inclusions, granulocytic (myeloid) and monocytic cells, lymphocytic cells, platelets and megakaryocytic cells, microorganisms, and artifacts. The "how to" guide to good slide preparation, Histologic Preparations was developed by the Histotechnology Committee of the College of American Pathologists (CAP) in conjunction with the National Society for Histotechnology (NSH). Building on data and images from the NSH/CAP histology quality assurance program, HistoQIP, the book presents photographic examples of well-prepared slides followed by numerous examples of associated problems and their solutions. 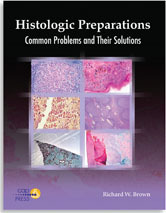 Histologic Preparations is a reference text as well as a teaching tool. Written for pathologists, pathology residents, histotechnologists, and histotechnicians as well as histology students, this thorough book contains troubleshooting techniques for the most common artifacts and problems incurred in routine histologic preparations. Laboratory Administration for Pathologists provides the core principles and tools of management for the practice of pathology and laboratory medicine. The book covers all aspects of clinical and anatomic pathology laboratory administration, and is especially geared for trainees and young pathologists entering the field. Pathologists will find this text to be useful as a quick reference tool or to review management for maintenance of certification. Residents will find this text helpful for board preparation and in rotations related to management training. Mycology Benchtop Reference Guide is an illustrated guide to common fungi. For students and medical technologists, it’s an affordable, convenient way to identify commonly encountered fungi quickly and confidently. Full-color colony and microscopic views are included. Its rugged construction is well suited for heavy use at the workbench.